Movie celebrating the 40th Anniversary of the Ultraman Series (1966-2006). Has anyone else watched this movie? I have. All I can tell you is that Tsuburaya Productions knows how to do an anniversary movie right. You can see it on Youtube. Hurry befor it's deleted. 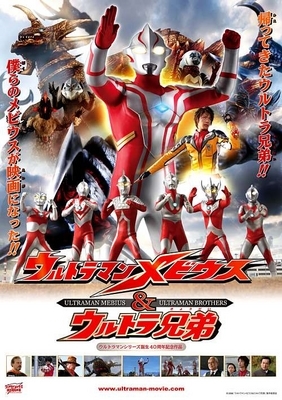 Just type up the key words: Ultraman, Mebius, Ultra, Brothers, sub,. Is this the Super Sentai version of Forver Red?